Based out of London, Hailing from Wales & Devon. This 5 piece pop band have been cementing their sound around the UK for the past few years. With a seamless blend of melody based pop and alternative funk, mixed with their vibrant and energetic performances they are definitely ones to watch. 'THE LIMITED' ARE DOING THEIR FIRST SHOW OF 2019 AT THE COURTYARD THEATRE. 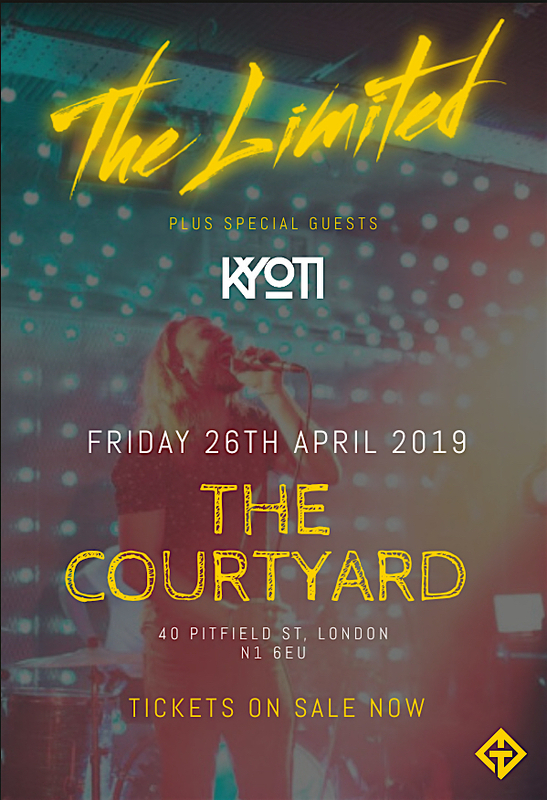 FRIDAY 26TH APRIL - WITH SUPPORT FROM ‘KYOTI’ AND MORE TO BE ANNOUNCED SOON.